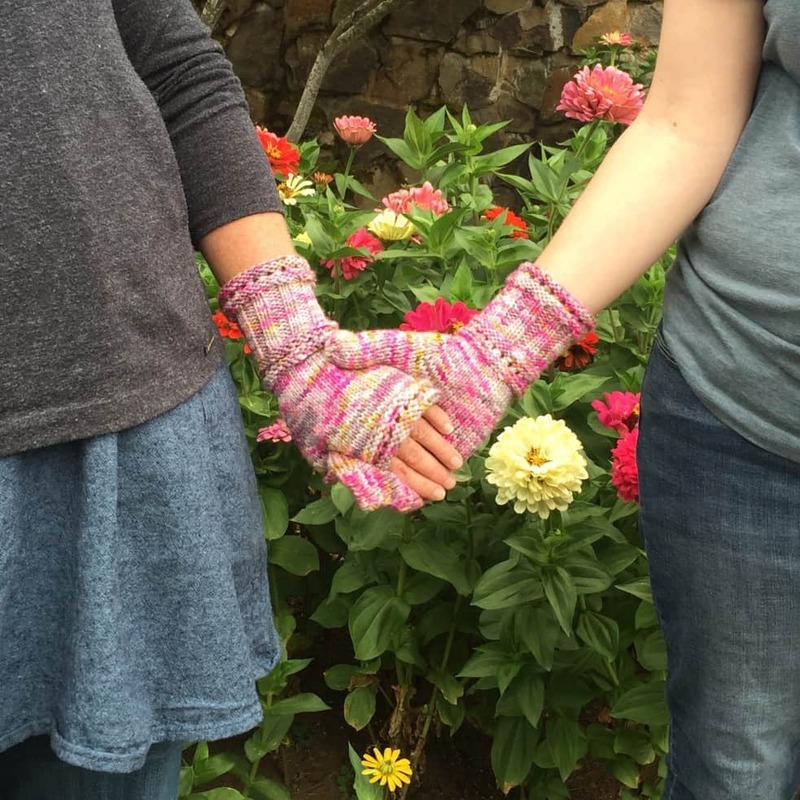 Finished Measurements: Mitts/Mittens: Regular (Large) – 3.5” (4”) across hand (measured above base of thumb but below knuckles). Length varies. Cowl: 20” circumference; 8” tall. Yarn: Mitts/Mittens: approximately 125-150 yards heavy worsted-weight yarn. I used Malabrigo Worsted, colorway Garnet for fingerless mitts and Blue Moon Fiber Arts Luscious Single Silk, colorway Mossay for full mittens. 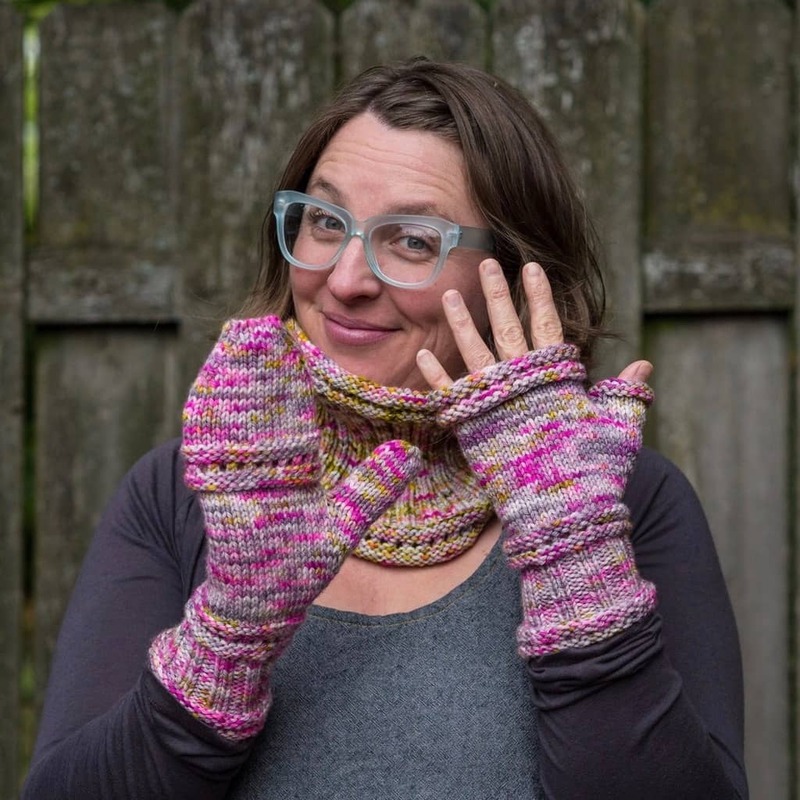 Cowl: approximately 150 yards heavy worsted-weight yarn. I used Malabrigo Worsted, colorway VAA. Needles: Mitts/Mittens: US7/4.5mm needle for small circumference knitting, or size needed to get gauge. Cowl: 150 yards heavy worsted-weight yarn. I used Malabrigo Worsted, colorway VAA. Gauge: Mitts/Mittens: 20 sts = 4”/10 cm in stockinette stitch, measured after blocking. Cowl: 16 sts = 4”/10cm in stockinette stitch, measured after blocking.